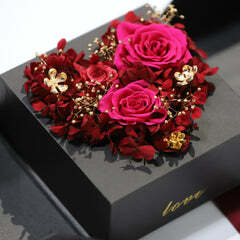 Roses have long symbolized love, romance, passion, and friendship. 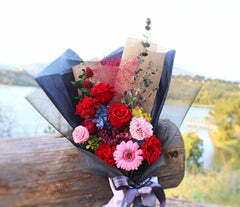 They are the perfect way to say “I love you,” “Happy anniversary,” “I’m sorry,” or simply, “Thinking of you.” Nothing can be more delightful or charming than receiving a beautiful bouquet of roses, popping with bright colors and smelling like it was picked that morning. Alas, fresh flowers don’t last for long. 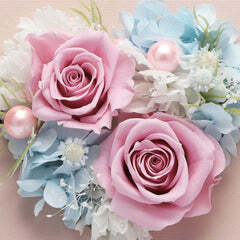 Even the lushest, freshest roses will begin to wilt within days. While your sentiment may stay forever, your flowers won’t. 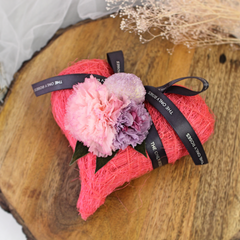 At The Only Roses, we believe love is never fleeting, so your gifts shouldn’t be either. 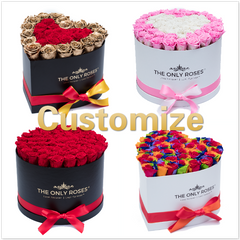 With our Everlasting Roses, we offer an elegant, luxurious way to create lasting moments with the people you cherish most. Not just once, but every day, all year. 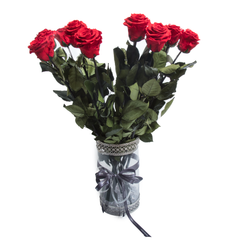 Our preserved roses are real roses that have been specially treated so they will last a year or longer. 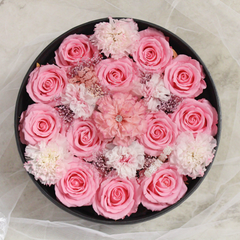 They are hand-picked at peak freshness from the mountains of Ecuador, where the world’s best roses are grown, and shipped directly to our Southern California workshop for careful arranging by our master florists. 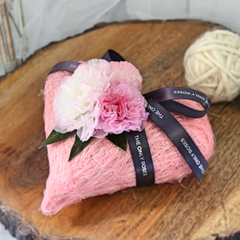 Each and every rose is 100% natural and free of toxic chemicals or pesticides. 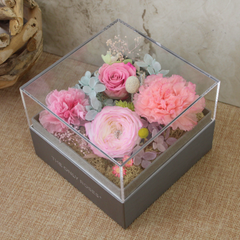 Our Huggy Box takes our signature arrangement and makes it even more stunning with a tall box that highlights our beautiful, long-stemmed preserved roses. Then we tie it all together with a matching bow that gives it the perfect final touch. 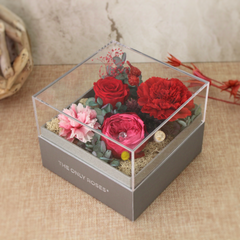 For an especially dramatic look, give these red and pink preserved roses. 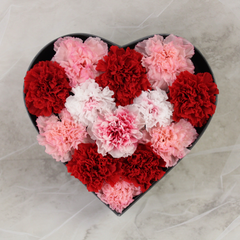 Their unique color will stand out from the traditional red, pink, or white arrangements, bringing an element of elegant flair and creativity to your gesture of love. 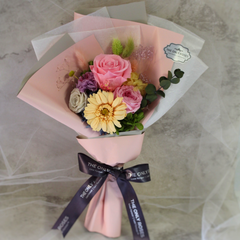 These stunning bouquets feature only the best buds plucked from our partner flower farms in Ecuador and carefully arranged in a custom design huggy box. 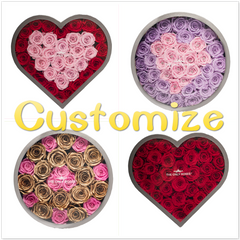 Our large round huggy box is guaranteed to include between 60 and 65 preserved roses, each one at least 2 inches in diameter. 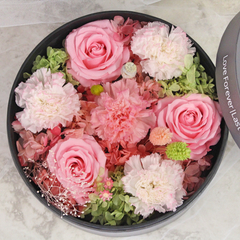 We’ve specifically designed our boxes so that the bouquet can be seen beautifully without a cover, making them gift-able right away without requiring additional decoration. 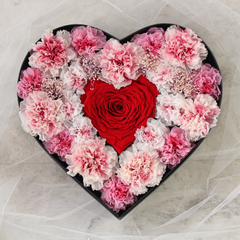 Your sweetie will be delighted to receive this gesture of love — the perfect embodiment of luxury, thoughtfulness, and romance, all contained in a gorgeous box that will last so much longer than flowers in a vase.